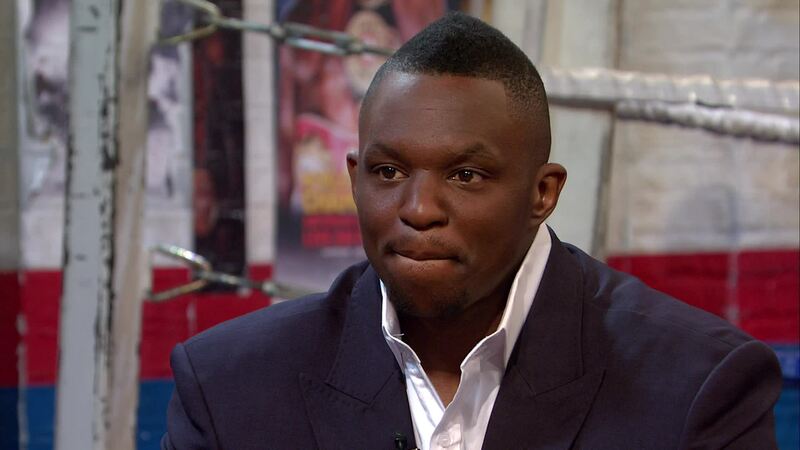 Dillian Whyte has slammed WBC heavyweight champion Deontay Wilder, labelling him a “crackhead” for his recent comments directed at his next opponent Dominic Breazeale. The undefeated American claimed he would show “no remorse, no sorrow and no sympathy” if Breazeale did not wake up from a knockout blow. The pair are due to meet at Barclays Center in Brooklyn on May 18. “It’s an easy fight. Deontay Wilder will bash Dominic Breazeale up. Breazeale’s scared of Wilder,” Whyte told iFL TV. “I watched the press conference, the face of Breazeale, he was shaking in his boots. “Wilder again saying, ‘I can hear your heartbeat. I’m a killer, you’ve never been in front of a killer before’. “What are you talking about? This is boxing, you’re not a killer. You’re not some hitman. It’s boxing. The guy is stupid. “Wilder is a crackhead. Crackheads say crackhead-like things and do crackhead-like things. “They’re desperate, they do desperate stuff, say desperate stuff and that’s why Wilder is a crackhead. He’s scared. Whyte, who has been positioning himself for a shot at the WBC championship, says Wilder is making outrageous statements to hide the fact he is worried. “When someone’s scared and nervous, they say erratic things and say things they don’t mean,” Whyte added. “He puts on this massive ‘Bronze Bomber’ persona and he shouts and he’s loud, it’s just to give himself self-esteem.